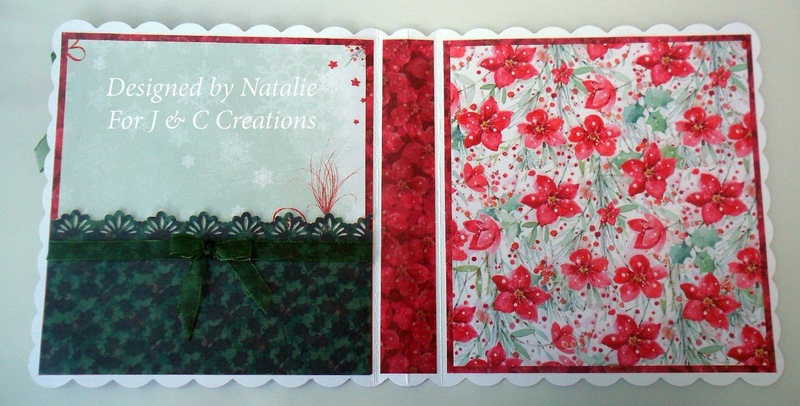 Take a piece of plain card 12" x 6" (I used a 6" x 6" white scalloped card blank) and score at 51/2" & 61/2" (along long side). Fold to make a 1" book spine. Open up and decorate the 2 inside panels with matted and layered patterned paper. Glue a strip of patterned paper to the inner spine. Make a pocket for the left panel by cutting a rectangle of patterned paper the same width as the panel, but only half the height and punch a border along the top edge. Attach ribbon under the punched edge and secure on the reverse. Glue to the left panel. NB - Remember to only glue along the left, right and bottom edges so that you can place a tag in the pocket. Finish off with a bow. Cut 2 pieces of plain card measuring 51/2" x 6" and 2 measuring 41/2" x 6" and score along the long sides every 1/2" on all 4 pieces. 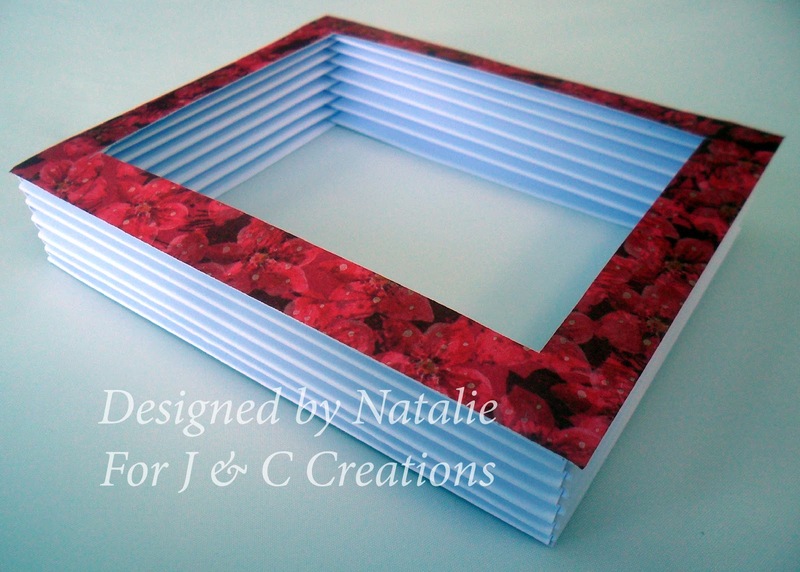 Fold them concertina style using a bone folder (or scissor handles) to makes the creases as sharp as possible. Take 1 piece of each size and interlink them to make a right angle and glue the 2 end flaps ONLY. (I have found that using wet glue for this makes a better bond than double sided tape). Repeat this for the other 2 pieces and then glue your 2 'L' shaped pieces together to form a box. Cut a frame from patterned paper and glue to the top edges to hide the joins. Glue the whole thing into place on the right panel. Make a tag using matching papers and punch a hole in the top for some ribbon. I have left a space for a message on mine. Matt and layer matching papers for the front. 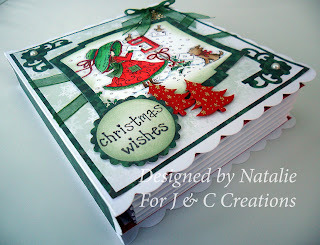 Attach some strips of ribbon and secure on the reverse, then glue to the card front. 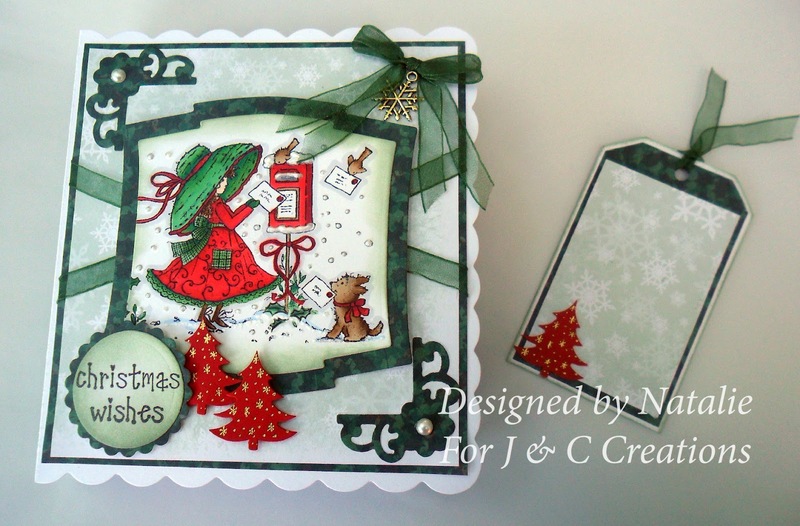 Cut out your coloured image using 'Labels 2' die and glue to patterned paper cut using the next size up die. 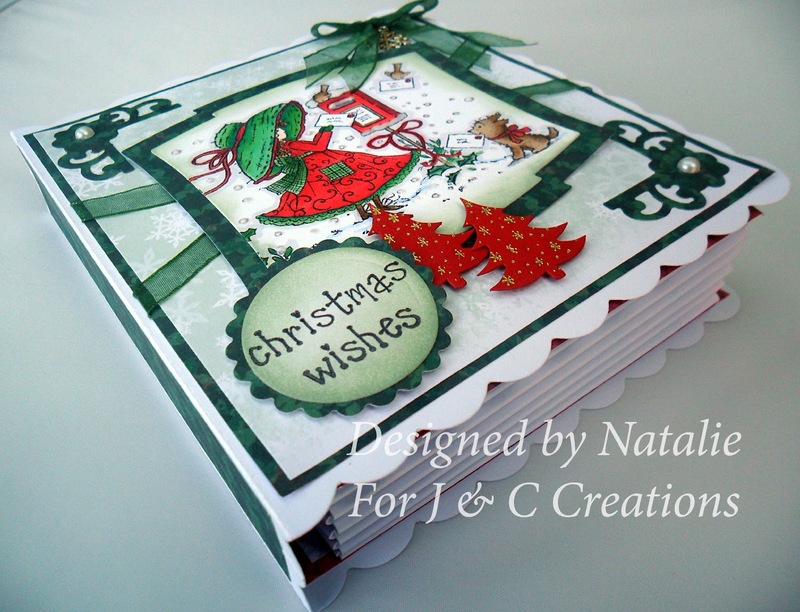 Attach to the middle of the card front using 3d tape. Decorate with corners of patterned paper, pearls, sentiment, die cut trees, charm and a bow. The charm I have used was silver and didn't match the rest of my card, so I coloured it with a Gold marker pen. I also added some liquid pearls to highlight the snow. 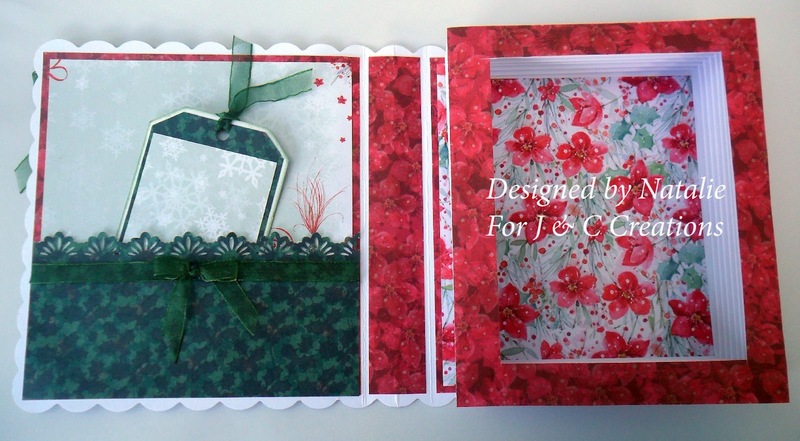 Glue a strip of patterned paper to the outer spine and your card is ready to fill with a small Christmas gift, or maybe some sweets/chocolate!